First post here from a new supported rider, welcome aboard Fiona Outdoors! When I arrived at my first World Age Group Triathlon Qualifier in Nottingham a few weeks ago I was stunned by the carbon bling – and the amazing looking athletes. I haven’t raced a great deal before (around five races ever!) and I usually turn up at small-ish Scottish events thinking I look fairly fit-for-age and with the right level of above-average bike bling. For Nottingham I thought I’d pulled out all the stops. I had bought a second-hand pro-light carbon Planet X bike. 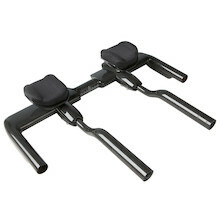 I’d added aero bars – I’d never ridden on these before. I’d added race light trainers and I’d been training as hard as my full-time job and single mum role would allow. I’d even practised pro-style transitions. I’d felt pretty confident catching the train down south from Glasgow. Not confident about qualifying, but confident about not finishing last! But at the Nottingham Triathlon, held at the National Water Sports centre, I’d felt suddenly intimidated. Super sleek athletes – even in my elderly age group of 45 to 49 – and more carbon bedazzle than I have ever seen in one square mile before came at me with a full-on crapping-myself rush. I tried to hold it together. I tried not to panic. And in the end I pulled off a 15th place and just 2 mins outside of the qualifying time. I was a good 9 mins outside the winning time but I did okay. And then Planet X came forward with an amazing proposal. A blog that I had written about the countdown to my Nottingham race was spotted by a Facebook contact. He used to work for another outdoor retailer and now works for Planet X. He reckoned that my blog writing would be a good fit for Planet X and, after a bit of discussion, it was suggested that I could become a Planet X sponsored athlete. This is not about my athletic prowess – there isn’t much! – but about my writing skills. The deal is that I ride their bike and then write about it on their website. So this week I received a truly beautiful Planet X time trial bike. It’s the Stealth. It’s in red. It comes with all sorts of carbon bling including the frame, aerobars, seat post, cranks and the fabulous wheels. They are also fitted with tubs! There are 80mm carbon rims on the front and 100mm carbon rims on the back. It is a bike that I have dreamed of but never thought I’d get to ride. It is the bike that will be a match for all those super fit ladies as I approach my next World Age Group Triathlon Qualifier in Bristol this weekend. I won’t have ridden it for many miles but I know it will be a huge advantage. The psychological benefit of turning up with a bling, bling TT bike (like everyone else is riding) and the aerodynamic speed of riding it will be awesome. Well, that’s what I’m hoping. Tomorrow I fly to Bristol for the event on Sunday. I am flying with my good friend and triathlon coach (she has been training me for the last 7 months), the Mighty Vickster, to compete in my second ever triathlon qualifier event. 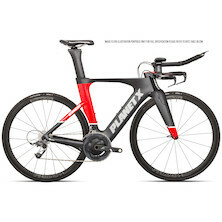 I will have with me my Planet X Stealth carbon fibre Red Racing Machine. I also have go-faster Inov-8 racing trainers. I have a wetsuit bought second-hand from a former triathlon pro. I have baby oil, asthma inhaler, prescription goggles, my Glasgow Triathlon Club racing suit. I have hopes. I have a goal of trying to qualify for the World Champs this year. I will need luck and carbon on my side. But really, it’s about the taking part and I can’t quite believe I’ll be competing on a time trial bike. Thanks Planet X!